The Gould's of Castro Valley currently include: Myself, my wife Cathy, my daughter Kimberlee, my son Connor and our dog Holly. And the two fish we have at the moment! As you can probably guess, I enjoy the sport of fishing! 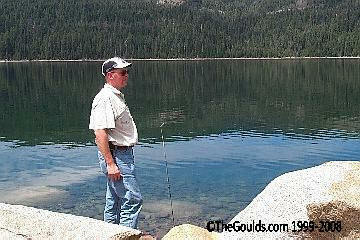 Some of my favorite memories over the past 20+ years involve time spent up in the Sierras fishing and camping. This is something that I hope to transfer onto my children beginning this year (2008).